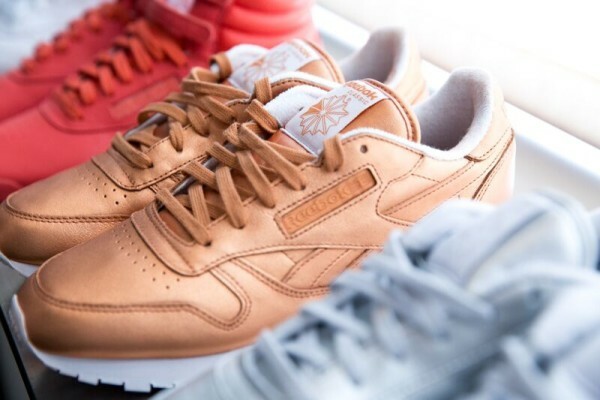 Yesterday, the Reebok Classic x FACE Stockholm collection officially launched retailers nationwide along with a new campaign featuring the actress Ashley Madekwe. The "Your Bold Finishes” campaign aims to showcase the Reebok Classic X FACE Stockholm collection in combination with a number of fashionable looks perfect for any woman interested in adding some versatility to her sneaker style. The Reebok Classic x FACE Stockholm collection is reasonably priced, at around $70-$75, and is availble at Urban Outfitters, Villa, Lady Foot Locker and Reebok.com. Check out more of Ashley's looks below. Which are your favorite. Earlier this year, PUMA and NYC-based creative Vashtie kicked (see what I did there?) off 2015 with Vashtie's debut signature Spring/Summer 2015 Collection. Now, the two parties re-up, and make the trek to New Delhi, for snaps of their new essentials comprised of Fall/Winter footwear and apparel. 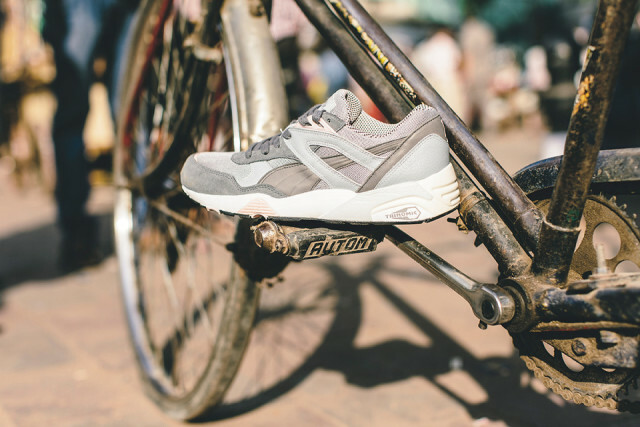 New takes on the PUMA R698 and States Mid carry much of the weight of this collection as premium materials matched with interesting color selections (read: metallic gold, tri-tone gray and navy/yellow R698 offerings - see below) make for a dynamic second showing from Vashtie. Each sneaker comes equipped with the German brand’s signature Trinomic sole, alongside all the other classic design features of the retro runner. Look for the PUMA x Vashtie Fall/Winter 2015 Collection to hit UK retailers like Offspring and PUMA’s website in the next few months. Maison Kitsuné, a French fashion brand and record label created in 2012, artfully combines the worlds of fashion and music with their latest collaboration.Vocalist, songwriter and visual artist Kilo Kish teams with the house for a colorful capsule collection. Kish, born Lakisha Kimberly “Kish” Robinson, has been slowly infiltrating the music scene with her music since 2012 and has received music and fashion accolades from Rolling Stone, MTV, Vogue, and Elle to name a few. For this collab captured by French photographer Alice Moitié, Kilo Kish infuses her American roots with her love of the French brand and designed a collection of striped tees and accessories, including a cotton scarf, an iPhone case, tote bags, and a pair of sky blue kicks. Kilo Kish and her cute curls exudes a certain je ne sais quoi that women on both sides of the Atlantic can celebrate. The lightweight sweaters will make for the perfect add-on during cool summer nights and an easy pairing with your favorite denim jeans. In a show of cross-cultural unity, her custom tote features both the French and American flag. Her canvas pale blue sneakers come equipped with gold rivets and the Kitsuné signature on the tongue and rear of the sole sole. The Maison Kitsuné x Kilo Kish collection is now available in all boutiques and online! Thoughts? Liu Wen poses alongside her ‘We Are in Love’ co-star Choi Siwon for the June 2015 cover story of ELLE China. The Chinese model certainly looks ready for summer with brightly colored looks including lace and tulle embellished skirts paired artfully with classic Converse Chuck Taylors in Light Sapphire. Photographed by Zack Zhang and styled by Katherine Cao, Liu is gorgeous in the glossy feature. See more snaps below. DJ (she's toured with everyone from Nicki to Jessie J) and award winning TV producer Ruby Rose is no stranger to the spotlight, but that lime is about to get all the more brighter as she makes her debut as the newest Litchfield inmate on season 3 of Orange Is The New Black. Recently, Ruby (who resides in Los Angeles) opened her home to The Coveteur to display a sneaker collection we could roll with. Mix in some CHANEL here and Miu Miu there, amongst her streetwear collection, and some Jeremy Scott for Adidas, and you’ve got yourself a limelight worthy collection. Collage by Minna Up and coming Def Jam singer/songwriter Alessia Cara’s first single, “Here,” has been steadily gaining traction on pretty much every music streaming service from here to the moon, but the 18-year-old is taking it in stride in her Converse classics and talking with RookieMag.com about postponing college plans and trying to change the world. Read her full Q&A at Rookie Mag. Gigi Hadid and photographer Benny Horne follow up their March 2015 shoot for Vogue Spain with another fashion rendezvous in Vogue Australia. Embracing fun poses, Gigi is stunning in adidas Originals Stan Smith sneakers. See below. She continues, “I’ve loved working on this show. It’s been such a crazy, awesome adventure, and I’ve been surrounded by so many people who I consider family. I know this is a new exciting step in the right direction for me, but it’s going to be so strange not to be with them.” Read more on Self.com.